The Ariana Institute’s Advanced Massage Therapy Techniques Manual is part of a series of massage manuals that are designed to help deepen the knowledge of current massage therapists and introduce new massage therapists to the world of massage and bodywork. This manual incorporates detailed protocols, photos, links to online videos, marketing strategies, personal stories, and resources to encourage a comprehensive understanding of advanced therapy modalities and techniques beneficial for your massage practice. Here’s a personal story about craniosacral therapy featured in the Advanced Massage Therapy Techniques Manual. I am a proponent of non–invasive, natural modalities of health care that are seemingly subtle yet have profound and transformative effects. CranioSacral Therapy (CST) definitely falls in this category. I have a deep admiration for Dr. John Upledger and the phenomenal work that he did in creating and developing training systems for CST. My personal experience receiving CST was when I received a session after some extremely painful dental work. One of my colleagues was a trained CranioSacral practitioner. She kindly offered a session for me. I had never experienced CST before and I was amazed at the efficacy of the treatment and I appreciated the relief I felt. In that moment, I decided to learn more about this seemingly subtle, yet very transformative modality. My second CST class was in a big hotel in Houston and, unfortunately, this instructor and his assistants were all over the map and the ballroom that we used as a classroom was freezing, which was not conducive to exchanging sessions or to creating a pleasant learning environment. The class was inappropriately skewed toward cognitive and scientific data rather than hands–on experiential learning. It provided a wonderful opportunity for me to learn what not to do when offering continuing education classes for massage therapists. After exchanging many CST sessions with my colleagues, watching videos, and doing independent research, I began offering CranioSacral in my private practice in Austin more than 15 years ago. I appreciated the efficacy of the treatments. I enjoy the lightness of touch in a CranioSacral session; it offered a marked contrast to the deep tissue work that was also part of my pantheon of modalities. After years of working part–time for other people, I decided to venture on my own and focus all of my time on the development of my own massage practice and continuing education school because I knew it would lead to a greater impact on the massage community and greater financial independence. I synthesized all of my research into CST and I developed the Ariana Institute CranioSacral Therapy Continuing Education class and I also incorporated many of the relevant CST techniques in the Ariana Institute’s Headache and Allergy Relief CE class. The classes were well received and I was very grateful. The scope of conditions that CST can affect positively is amazing. I have witnessed and experienced profound transformations as a result of CranioSacral Therapy’s gentle, yet effective, hands–on approach to wellness therapy. Ariana Vincent was awarded the 2015 CE Provider of the Year Award by the Alliance for Massage Therapy Education. 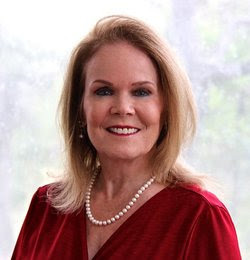 She is CEO of the Ariana Institute and a Nationally Certified Massage Therapy Instructor whose classes are accepted throughout the United States. Ariana is also a Massage Therapy Hall of Fame Honoree and author of the Ariana Institute’s therapy manual series available on Amazon. 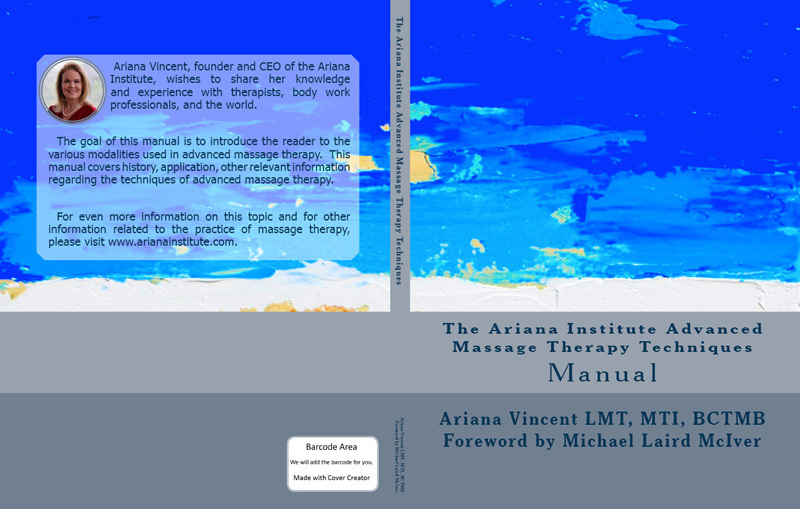 To read the foreword of the Advanced Massage Therapy Techniques Manual, visit https://www.arianainstitute.com/the-ariana-institutes-advanced-massage-therapy-techniques-manual-and-ce-courses/. The Ariana Institute’s video introduction to the CranioSacral Therapy, Sports Massage, Chair Massage, Deep Tissue Upper and Lower Body, as well as Addiction Recovery and Therapeutic Massage CE courses can be accessed on the Ariana Institute’s YouTube Channel at www.youtube.com/user/ArianaInstitute. To order your copies of the Ariana Institute’s Advanced Massage Therapy Techniques Manual, visit www.amazon.com/author/arianavincent. For additional information about the Ariana Institute and to register for online continuing education and MTI courses visit www.arianainstitute.com/ce-online/.